Tell the awesome person in your life how much you love him or her by writing a secret Valentine's Day message in invisible ink, which can then only be revealed by heating the paper over a flame or a hot light bulb. For a more direct approach, show your affection to your favorite person in the form of love-themed mason jar snow globes, Sharpie-decorated ceramic mugs, DIY wooden coasters, seed-starting kits, and more. 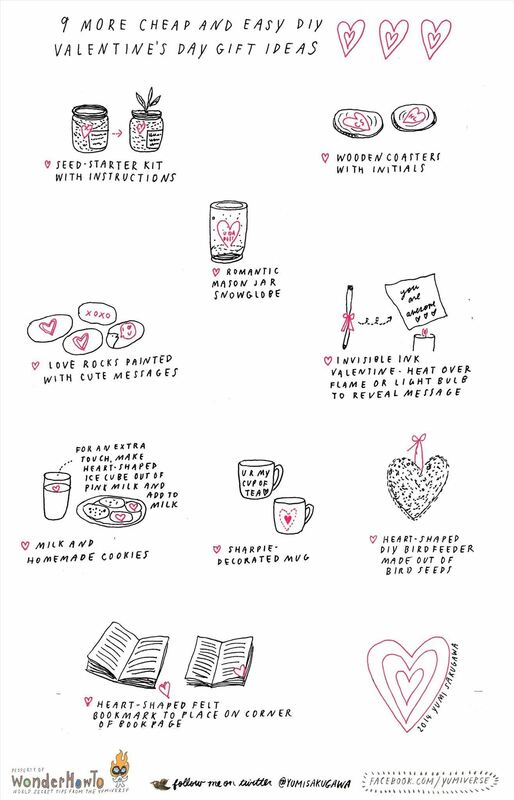 For more ideas, check out my guide from last year on 11 cheap and easy DIY gift ideas for Valentine's Day, and make sure to share your own ideas in the comments below! News: DIY Christmas Gift Ideas!